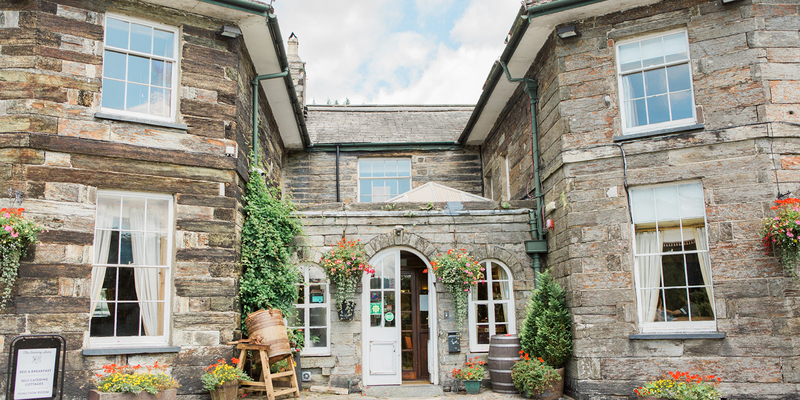 Last week on the Oakeley blog we featured a fabulous walk around the North Wales town of Caernarfon – just a short drive from us here at the Oakeley Arms. Today, let’s delve a little deeper into the history of one of Caernarfon’s most beautiful attractions – the stunning Caernarfon Castle. After the Welsh uprising of the late 13th century, Edward the King of England decided there was only one way to keep the rebels in check. Work soon began in earnest on Edward’s impressive plan to remind the Welsh of their new rulers, and to control any unruly behaviour. His plan resulted in the “iron ring” of castles that not only dominated the local residents, but also took impressive command of the coastline. His castles at Caernarfon, Conwy, Harlech and Beaumaris are still spectacular examples, not just of Edward’s desire for control over his kingdom, but also of the incredible designs of architect Master James of St George. It’s a testament to his skills that all the castles are intact over 700 years later. Edward’s vision for a castle at Caernarfon was not only to serve as a strong military presence, but the magnificent structure was also to be the seat of government and a palace for visiting royals. There was already a small Norman stone castle at Caernarfon, and Edward chose the same spot for his masterpiece; not least because of the ancient Roman headquarters close by at Segontium, but also because of the strategic position on the banks of the Menai Straits. As soon as Wales was under English rule, Edward ordered construction to begin at Caernarfon; and to ensure the finished building matched his vision, he enlisted the help of master military architect and mason Master James of St George. Master James didn’t disappoint, and even today, Caernarfon is thought of as the most sophisticated of all Edward’s castles. It is believed that the King was heavily influenced by a trip to Constantinople just before the castle was built, and as a result Caernarfon has strong resemblances to the majestic walls, high towers and polygonal towers of the Byzantine capital. And not content with the castle, Edward wanted to impose his English influence in this corner of Wales by building a whole town. The foreboding town walls then included a market-place, town hall, shops and houses. Unhappy with the Anglicisation of his home-land, trouble soon stirred again in a rebellion led by Madog ap Llywelyn in 1294. Caernarfon, as the centre of all English administration in Wales was targeted first, and the town and the castle was blazing before Edward could stop it. It took the King almost a year to re-take control. Completely exasperated by the rebels, in 1301 the king crowned his son the first Prince of Wales at Caernarfon. Edward hoped bestowing this title on the future monarch of England would shock and subdue the mutinous masses. The title is still used today, albeit for more peaceful purposes than Edward II’s first appointment!